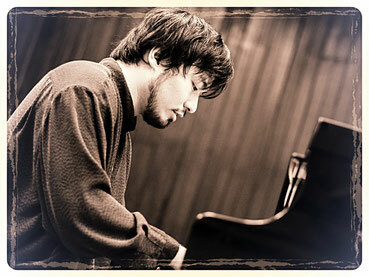 Tomonari Tsuchiya, born in Tokyo in 1987, began his piano studies at the age of six with Vicky Goon Menliew and later with Shane Thio from Singapore Symphony Orchestra. Soon after he entered Royal Irish Academy of Music in Dublin at the age of fourteen with a full scholarship, he started to win prizes at both national and international competitions and gave his first recital in front of the Irish President at her residence and Russian Federation Embassy in Limerick. He currently holds fourteen prizes including the 3rd prize International Piano Competition Named after S.V. Rachmaninov in Veliky Novgorod, Russia and 2nd prize Kawai Asia International Piano Competition in Hong Kong. Since then, he has been actively giving recitals in London, several places in Malaysia including Kuala Lumpur, Penang and Malacca, various places in Osaka, Kobe, Tokyo, Singapore and Guongdong, China where he judged for the International Arts Festival as well. Mr. Tomonari was under some of the most renowned pianists and professors in Europe such as Pavel Nersessian, Pascal Roge, Edmond Battersby, Andrei Pisarev, Christopher Elton, Stefania Passamonte, Emanuel Krasovsky, Boris Berman and his eminent professor, Benjamin Kaplan. They have been a big influence in his development as a concert pianist. In 2005, Tomonari graduated from the Royal Irish Academy with honours where he studied with Professor Deirdre Doyle. He continued his studies in France with Russian Pianist, Roustem Saitkoulov and also at Ecole Normale de Music in Paris with Prof. France Clidat where he was awarded 3rd prize Hubert de Luze Loris Talmart. He then further extended his studies at Guildhall School of Music & Drama with Martin Roscoe, Noriko Ogawa and Peter Bithell where he graduated with honours in Master of Performance. Currently living in Malaysia, after having taught at UiTM, he continues to give solo recitals, lectures, masterclasses as well as chamber concerts in collaboration with other musicians. Since 2016, he has been officially forming "Glamorous Duo" with Ms. Yoshiko Ikemura and recently released a CD of Rachmaninoff and Shostakovich Cello Sonata under the label of Raptsound . 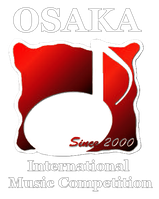 He is also a committee member of OSAKA International Music Competition in Japan, looking after the Malaysian Regional Round.